This is a very common situation for people that they have lot of MOV movies and videos on their Mac and can’t play them on the other devices. Even they don’t want to delete these movies and videos as those videos can contain memorable life moments. In that condition you need professional video converter software to convert MOV to MPG format which supports mostly all devices. These professional video converters can solve your problem easily. Just follow this tutorial step by step to learn about how to convert MOV to MPG files. KeepVid Online Video Converter is a free online video converter website to convert MOV to MPG or convert other video files. This is a very convenient and easy-to-use website which has a very clear user interface. You don’t have to install any third-party software if you want to use this online converter website. This online video converter enables you to convert videos one for a time. This online video converter enables you to convert videos to more than 50 video and audio formats. 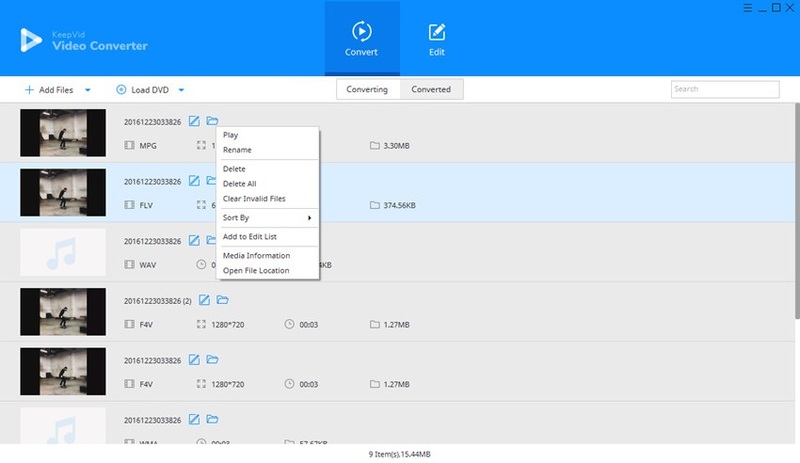 Of course, if you want to convert MPG to MOV files, you can also use KeepVid online video converter, and you'll also find it very easy to finish the task. 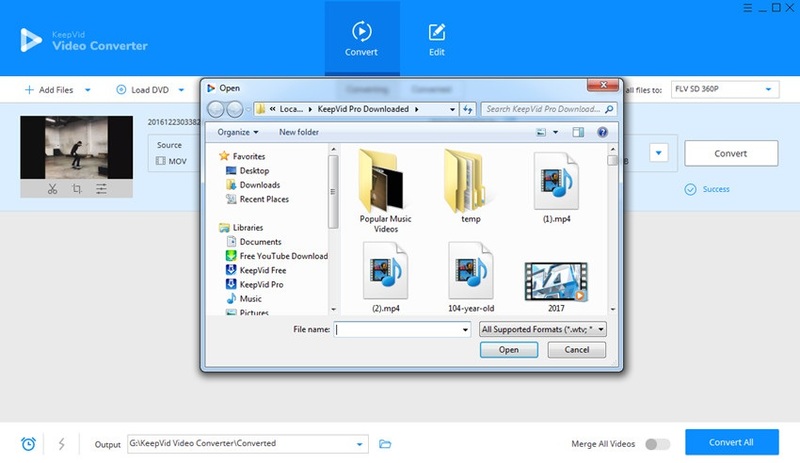 KeepVid Video Converter is a very powerful desktop video converter program and it supports various audio and video formats including MOV, MPG, MP3, etc. 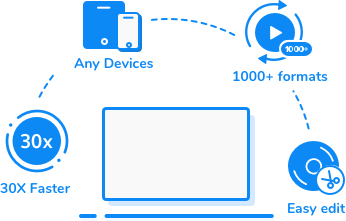 Mobile devices compatible formats are also well supported by this desktop video converter so you can convert videos and play them in mobile later. With a very easy-to-use interface, this program also provides you editing and downloading features, which will help you to manage your video conversion easier than before. Edit videos to meet your personalized requirements. Convert videos with 30x faster converting speed.  Convert videos for any of your device directly, such as iOS, Android and more. With the help of KeepVid converter program, you can convert MOV to MPG easily on your computer. Step 1. Start KeepVid Video Converter, and add the MOV video from your computer. Step 2. Select MPG as the output format, and click the Convert button to start converting MOV to MPG file. Step 3. When the conversion finishes, you’ll get the converted file in the Converted tab. Download and install KeepVid Video Converter on your computer, then start it. Choose the Convert section and click Add File or Add Folder button at the upper left corner to add the MOV video from your computer. 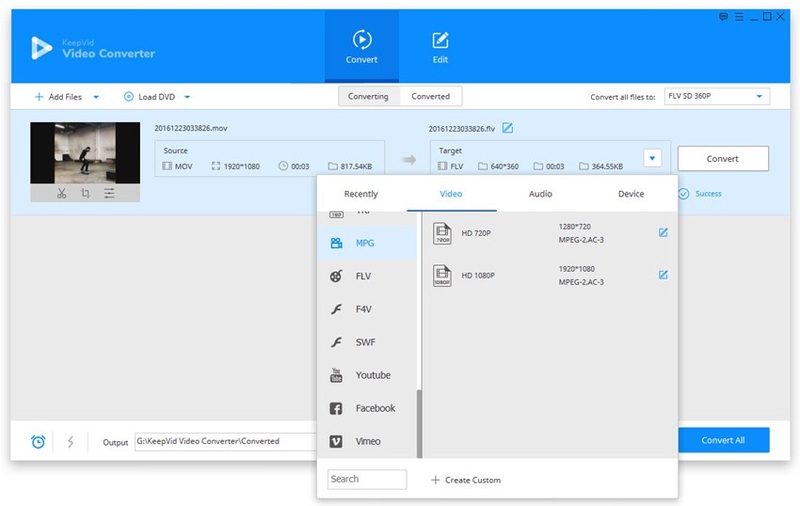 KeepVid Video Converter will show the detailed information of the video. Now click the inverted triangle icon at the right side of the Target area and select MPG as the output format in the pop-up dialog. Or you can click the inverted triangle icon at the right side of the Convert all files to button, and select MPG as an output in the pop-up window. Now click the Convert or Convert All button to start converting MOV to MPG. The program will show you the process of conversion. When the conversion is finished, you can get the converted MPG file in the Converted tab, and you can also right-click the converted video and choose Open File Location to find the converted video in your computer. MPG is a file extension for the MPEG files in the MPEG-1 or MPEG-2 files. An MPG file is a common video file that uses a digital video format standardized by the Moving Picture Experts Group (MPEG). MPG files are often used for creating movies that are distributed on the Internet and typically incorporate MPEG-1 or MPEG-2 audio and video compression.